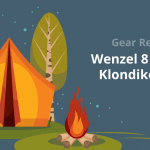 The results of my Wenzel Family Dome 5P Tent Review, hereafter referred to as the Wenzel Family Tent, show that this tent is a comfortable, water resistant tent that is just a feature or two away from being a great family tent. If you’re looking for a tent that will accommodate a small group of people, but still fills your requirements of being a tent that can be taken on hikes, you should start your search with a Wenzel brand tent. One such tent intrigues me, and seems like a great candidate for a family hiking tent. In this day and age, it is difficult to go on a camping trip without the presence of electricity. With that in mind, it’s confusing to see the number of tents that are designed without a slot for an extension cord. Thankfully, the Wenzel Family Tent does not follow this tent norm, and gives you the flexibility to camp in your own way with the addition of an extension cord slot. With this feature, you won’t have to worry about routing an extension cord through the tent’s door, which could let unwanted bugs or rain water into your tent. Some tents try to sacrifice floor comfort and durability for a reduction in overall tent weight. This has the unfortunate consequence of requiring you to bring a bulky tarp in your backpack or car to keep the tent floor from ripping. A tarp needs to be staked down and adds complexity for a tent that probably doesn’t need any more complexity in its setup. Enter the Wenzel Family Tent: it has a multilayered tent floor with tear resistant fabric to add durability and comfort. You won’t need a tarp to sleep better or to protect your tent from tearing on rocks or sticks. Additionally, you won’t need to worry about moisture soaking through the bottom of the tent during rainstorms. The Wenzel Family Tent has no sky vent, technically speaking. Instead, it has three windows on the sides and back of the dome that stretch from the middle of the tent to the top of the tent. Many tent manufacturers stray away from large window size because it means that the tent is less resistant to water, but the Wenzel Family tent has a large rain fly that serves to counter this undesired consequence. On many three season tents, the surface area of mesh windows can get a bit small for my liking. As temperatures start to rise on your camping trip, you don’t want to find yourself in a tent that has small windows. The hot air will trap itself in your tent and will make life extremely uncomfortable for you. While it’s true that the Wenzel Family Tent isn’t a small tent by any means, it certainly isn’t a huge tent either. My main gripe with this tent is that the ceiling height is so low; a child might expect to walk around upright in this tent, but an adult will almost certainly be unable to. You should also keep in mind that this tent may not be for you if you prefer to sleep on an air mattress. You will likely only be able to fit one mattress in this tent, which will put a big restriction on your ability to fit more than two people in this tent. As a hot weather tent, the Wenzel Family Tent is a great performer. Its three large windows, paired with a window on the door give this tent excellent ventilation. You won’t have to leave the door open to breathe easier in this tent! The only issue this tent has with hot weather performance is that it loses almost all of its circulation during rainy weather. The rain fly has to cover the entirety of the windows, which cuts off all ventilation except for that of the front door. Conditions inside the tent will be tolerable, but might get a little clammy over long stretches. As is usually the case with three season tents, I like to give a small disclaimer. You shouldn’t use this tent in ways that it is not supposed to be used. In this case, you shouldn’t camp with the Wenzel Family Tent in frigid winter weather. The three large windows on the tent can’t be zipped up, which mean that this tent will not keep in any heat without the rain fly attached. Even then, cold air will likely seep into the tent through the gaps between the rain fly and the windows. If you like to camp during times where the temperature can drop without warning, you might want to steer clear of this tent. With that in mind, the Wenzel Family Tent is not advertised as a four season tent, so its poor performance in cold weather doesn’t hurt its overall score too greatly. The Wenzel Family Tent is a solid wet weather performance tent. Though it has huge windows that don’t zip up, the addition of a large rain fly will keep out most water during rainstorms. The seams of this tent are welded rather than sewn, which means that less water will be able to seep in through the edges of the tent. This tent loses a few points to its wet weather score because of the fact that the rain fly doesn’t extend far enough over the door. This might cause problems for you if the rain is driving towards the front of the tent and you’re trying to exit. If you’re somewhat new to camping, the idea of setting up a complicated tent can be somewhat intimidating. Unfortunately, many new campers tend to buy tents with maximum complexity because they think they need maximum comfort. The reality is that these added features often add more setup complexity than they are worth. The Wenzel Family Tent has a very simple setup. You would easily be able to set up this tent by yourself in a matter of 20 to 25 minutes. With a partner, this tent would be set up even faster. Its rain fly is also easily installed, so it wouldn’t be difficult to alternate between having it on or having it off to suit the weather. The Coleman Evanston is a six person tent that is all about reliability and comfort during rainy weather. The Evanston Tent features a fully screened porch, along with the footprint size to fit two queen sized mattresses. Its rain fly extends over the windows in such a way that it will still have ventilation even during rainstorms. The Evanston Tent would be perfect for you if you want to camp with an air mattress and expect a lot more rain in your camp areas of choice. In comparison, the Wenzel Family Tent is much easier to set up than its counterpart. All the bells and whistles of the Evanston tent mean greater setup complexity, as well as increased weight. The Wenzel Family Tent would be a perfect fit for you if your party plans to sleep in sleeping bags. It would also be a great fit for you if you plan to take this tent further from your car on hiking trips. The SEMOO 5 Person Tent would be right for you if you value size in your five person tent. It’s ceiling height is just under six feet, which will allow the majority of people to stand upright under its center. This tent, like the Wenzel Family Tent, is easy to set up and take down. One particular advantage the Wenzel Family Tent has over the SEMOO Tent is that it has much better ventilation due to its larger window size. With this in mind, the Wenzel Family Tent would be perfect for you if you plan to do mostly summer camping in a hot climate, whereas the SEMOO tent would be perfect for you if you don’t expect to camp in a particularly hot area. The Pine Ridge Tent is a perfect tent for you if you value privacy between the people you bring on camping trips. The Pine Ridge Tent features a room divider, with door access to each separated room. You won’t have to clamber over each person in the tent when you need to get out at night. The Wenzel Family Tent, on the other hand, has no such divider. While this does create an issue with privacy between occupants, it also means that the Wenzel Family Tent will have better ventilation than the Pine Ridge Tent. If you value a tent’s performance during hot weather over the need for privacy between tent occupants, the Wenzel Family Tent is the tent for you. 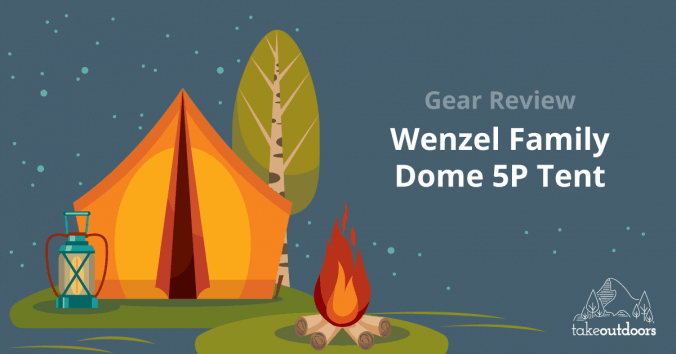 The Wenzel Family Dome 5P Tent is a strong performer in hot and wet weather, and the ability to bring an electrical cord into the tent without compromising water resistance cannot be understated in this modern age. The tent’s size leaves something to be desired, especially as far as ceiling height goes, but you definitely won’t have a problem if you expect to be sleeping in sleeping bags rather than air mattresses. On the other hand, the tent’s size make it a great weight for carrying. 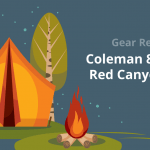 This means that this tent would be great if you’re planning on taking it on hiking trips. With all factors considered, the Wenzel Family Tent is a very solid family tent. The only thing that keeps this tent within the herd of family tents is that it lacks additional features that could make it stand out. Regardless, if you plan to camp with a small to medium size party, this tent will fit all your needs and you should strongly consider purchasing it.